Guided trips to the Bahamas for $75 open to any boat over 22 ft! hrough June and July, Florida boaters can participate in boating flings, in which groups of up to 30 boats follow one another across the Gulf Stream to the Bahamas. 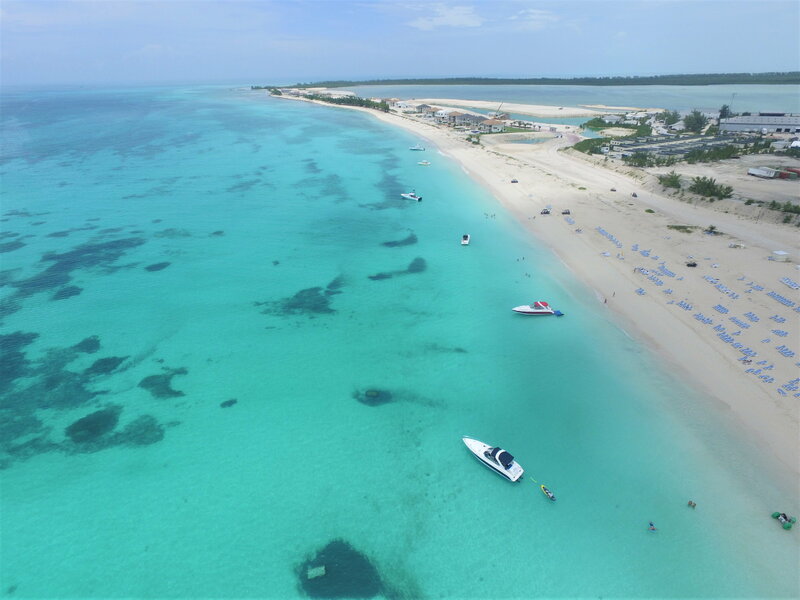 The Bahamas Ministry of Tourism hosts the trips, which visit Bimini, Abaco, Harbour Island and Eleuthera, in order boaters how to safely travel from Florida to the Bahamas. ADVERTISINFlings depart Thursdays out of Fort Lauderdale at the Bahia Mar Yacht Club, 801 Seabreeze Boulevard, and return Sundays. Trips cost $75. There are six trips this summer: two to Bimini, June 20-24 and June 27-July 1, followed by an extended fling July 11-22 to the Abacos, Harbour Island and Eleuthera. Two more trips to Bimini will take place July 25-29 and Aug. 1-5. Dock space is on a first-come, first-serve basis. Boats must be at least 22 feet long to participate, and the trips mostly cater to motorboats. It usually only takes about three hours to complete the 60-mile trip. However, since Bimini is a quicker trip, if someone had a sailboat with a motor that met the size requirements, that could be accommodated, a company spokeswoman said.Boaters are all given information on safety materials and gear to bring with them before departure to ensure they are prepared for the trip. The flings are led by Richard Treco, senior marketing manager at the Bahamas Ministry of Tourism and Aviation. Treco has been leading the trips for the nearly 38 years the Bahamas have offered them. “We pair up boats with a similar speed, so they look out for each other. We give them GPS coordinates and show them how to read hazards so they can navigate safely in the Bahamian waters. We teach them a lot of important things,” Treco says. Moreover, there’s a “no boat left behind” policy for all boats in case someone in the group has a mechanical issue and needs repair, or to have assistance called.Teco says they started the trips following a survey that found Florida boaters were scared to travel outside state waters. “These trips show them how to [make it to the Bahamas] so they can do it on their own later,” he says. Treco recently returned from taking a group of six boaters to Grand Bahama. “The ones I took this week were raving about the trip and didn’t want to leave,” he says. There is no itinerary once the boaters arrive on the islands. Treco says they used to coordinate itineraries, but people wanted to do things on their own. Now, he suggests places to go diving and fishing and makes sure the group understands how to navigate the waters before sending them off. Then, the group meets back up Sunday and returns to Fort Lauderdale together. For more information, call 1-800-327-7678 or go to Bahamas.com. Wally, Griff, SB and 3 others like this. this sounds pretty awesome and something I would be interested in the near future. Easy trip to/from last week. Tons of 25' boats made the crossing safely. Been many times to/from on anything from jetski/SeaDoo to large powerboats. Be methodical about your boat maintenance, watch the weather forecast closely, have extra GPS, EPIRB and VHF and you should be in for a good time!!! A boat load of common sense also helps Feel free to contact me w/any questions or if ya need suggestions. Sounds really cool but 3 hours to go 60 miles? I think that must refer to slow cruisers that do 20 knots. Ah, yes, if the event is geared towards cruisers then that explains it. I often make a 80 mile cruise to Put-in-Bay and even with breaks in takes about 1.5 hours. I thought the 3 hour time was actually a bit fast all things considered. But that's only based on all of my boating being in the middle of the Atlantic (Bermuda triangle nonetheless) surrounded by 8000' deep salt water and a Gulf Stream influence. Would be down for this for sure next year. Still working on boat this year. wow that sounds fun. Id be interested in something like this all the way from chicago.